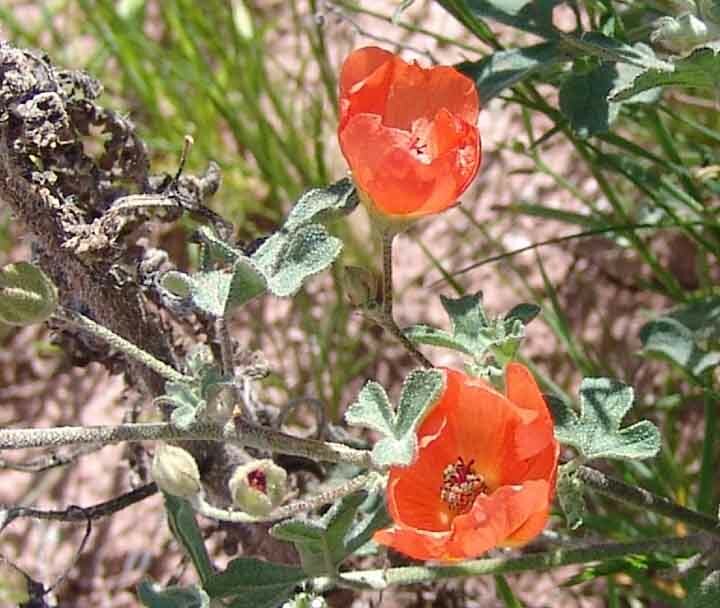 Globemallow is a perennial herb with grayish, maplelike, 3-lobed leaves (Epple, cited on main Wildflower page, p. 152), with 5-petaled, orange-to-reddish-to-pink/purplish flowers. 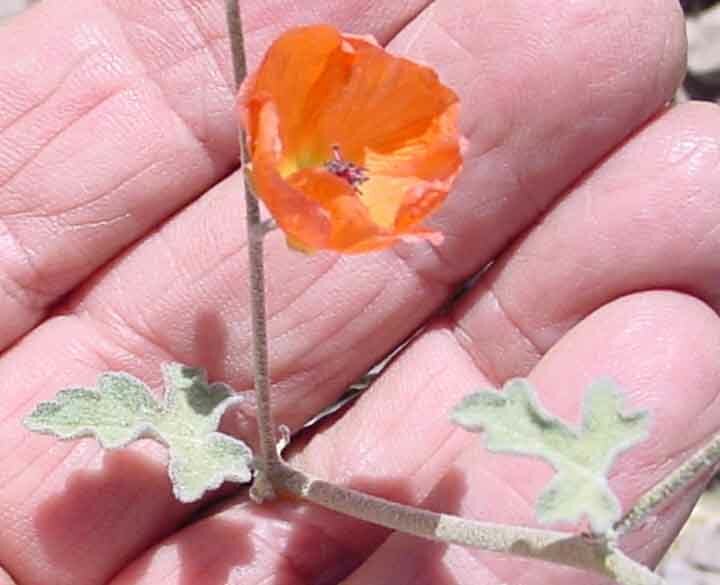 It grows in clumps along sandy streamways below 3,500', and may bloom at any time of the year. Photos on this page were taken in April and May. Click on each of the images below to enlarge. According to Epple, there are 16 species of Sphaeralcea in Arizona (op.cit. p. 153). We photographed this fine, large spray blooming on loose gravel in Lower Hot Springs Canyon in April 2007. 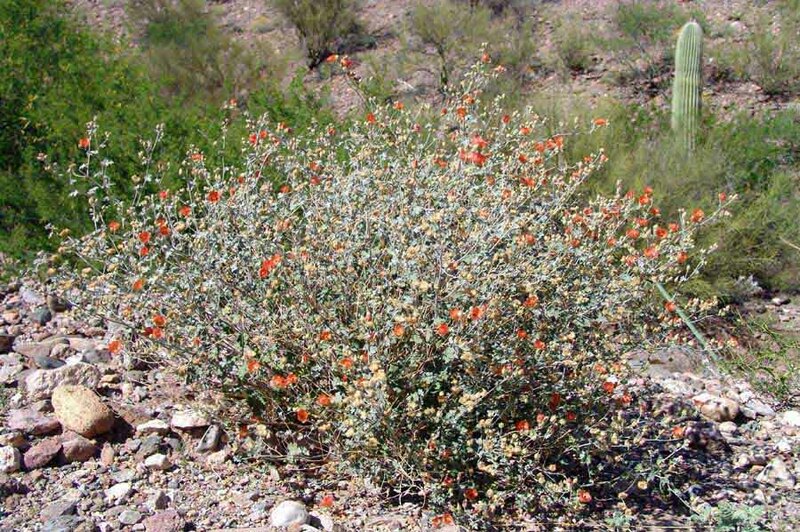 Note how strongly the leaf colors contrast with those of Palo Verde, Creosotebush, and Mesquite in the background.